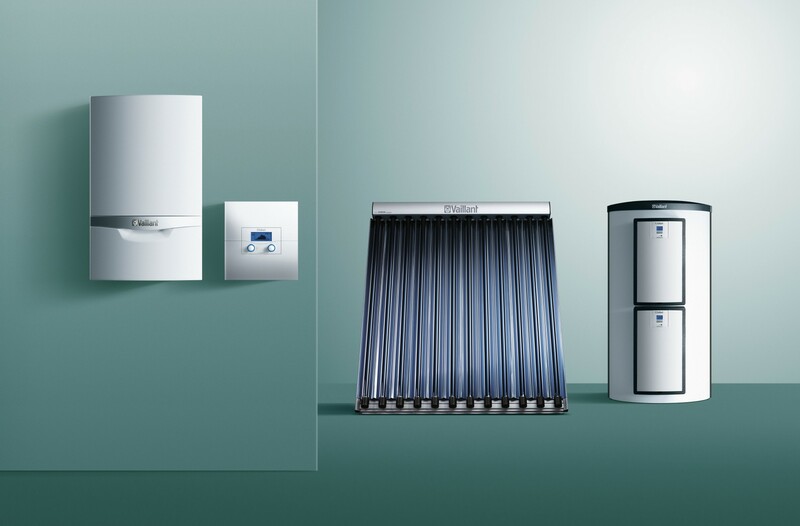 Highest warm water comfort for small, medium and large demands thanks to various tank sizes from 300 up to 2000 l.
An allSTOR system usually consists of the storage tank itself, a Vaillant solar pumping station for the more efficient use of solar energy and / or a Vaillant domestic hot water unit for the highest possible hot water comfort. Both system parts are complete ready-to-plug modules which can be installed side by side or above each other on the front of the storage: quickly, easily and aesthetically pleasing. An on-wall installation is also possible, if desired. Available in two different versions, allSTOR VPS Exclusive multifunction sotrage and allSTOR VPS plus, mainly used as a buffer tank. 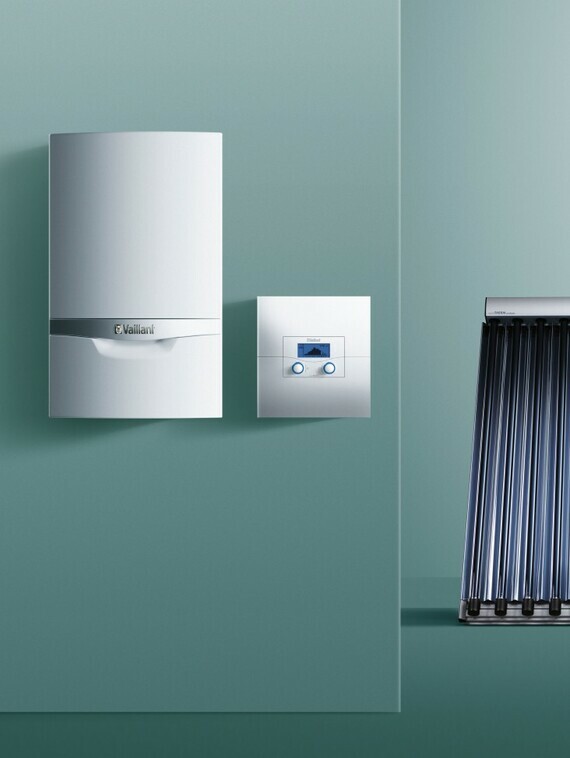 The domestic hot water unit is available in two sizes and can thus supply the tapping points with either up to 25 or up to 35 liters of domestic hot water per minute. Thus, even the biggest buildings can be quickly and effortlessly supplied with a high level of hot water comfort.